"Pre loved" children's toys, for distribution to needy children within our own local area. 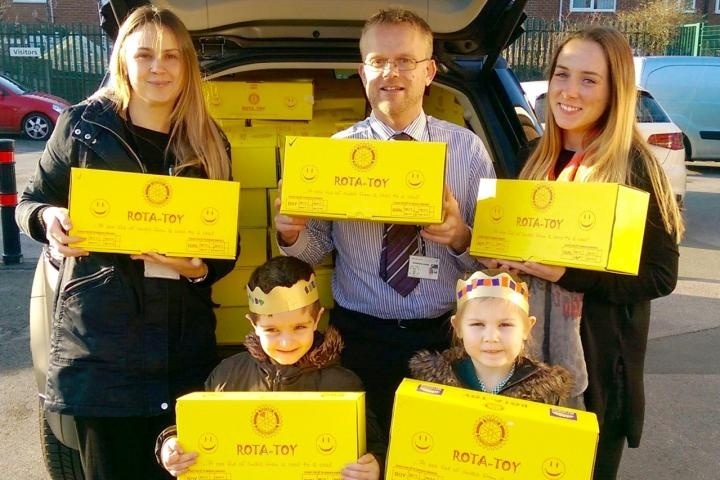 Here are pictures taken at a local day nursery with children bringing their filled boxes for collection by the Rotary Club for onward distribution. 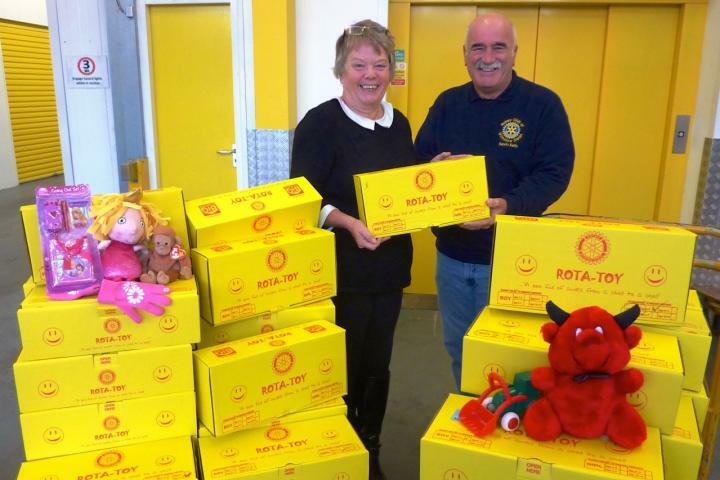 can obtain these boxes from The Rotary Club of Wilmslow Dean. 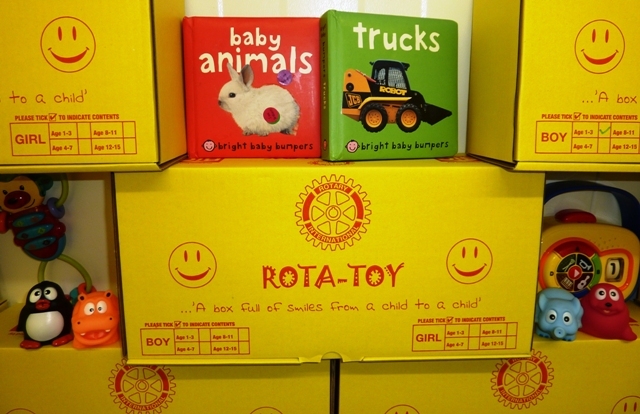 Rota Toy boxes ready for distribution. A box full of smiles from a child to a child. to be given to needy children in tour local area .